Cuts through hard and softer joint sealant – Without melting the sealant. 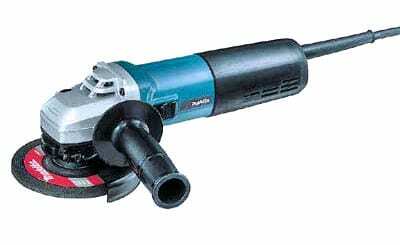 Hand Held Angle Grinders – Variable speed models are highly recommended (picture, right). 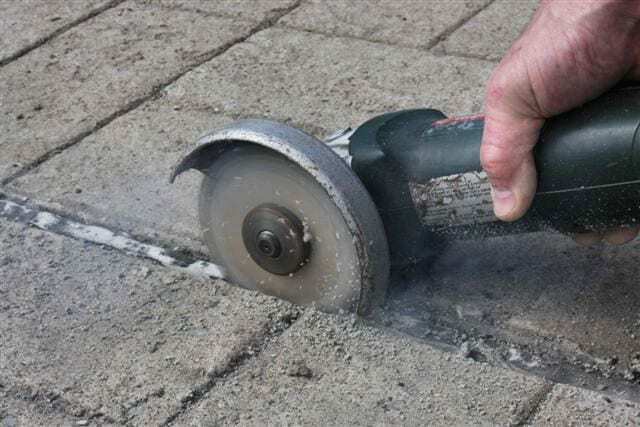 As effective as the blades are at slicing through sealant – WITHOUT MELTING IT – simply by lowering the RPM’s on a variable speed angle grinder (or going just above neutral) on gas walk behind saws) you’ll naturally reduce friction heat to further help improve or prevent the blade’s effectiveness at slicing through longer sections of sealant without melting the sealant. As the blade slices along the joint’s inside edge, the sealant is COMPLETELY SCRAPED CLEAN with one pass of the blade . 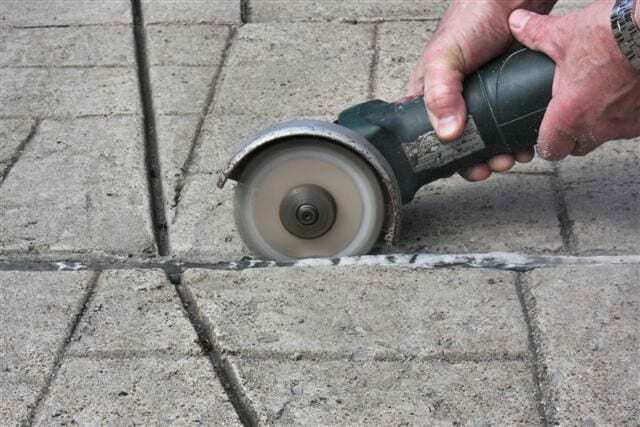 . .
Any excess sealant that may be inside a jagged edge can easily be removed by lightly cutting into the concrete using the Stellite Blade. End Result: New, clean inside edges are exposed – assuring you of proper adhesive bonding of the new sealant to fresh exposed concrete. Cut through hard and soft bubble gum sealant without melting. There has to be a better way . . . Removing caulking or joint sealant from concrete & masonry control joints has always been a slow, labor intensive, unhealthy chore . 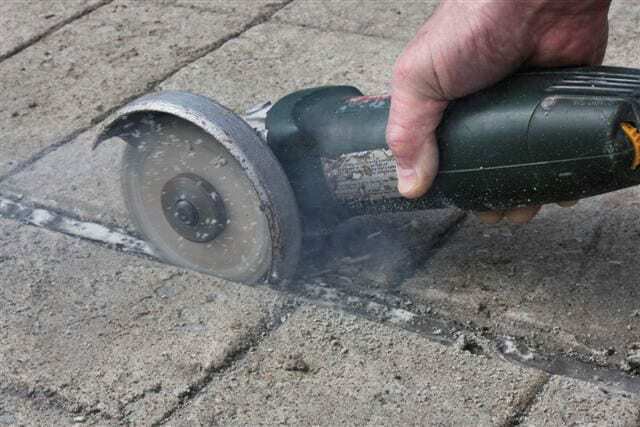 . .
Now, with the Stellite Sealant Cutter Blades and a standard handheld angle grinder all types of joint sealant material (extra hard to soft) is easily, effective and quickly removed . . .
Sealant is sliced from inside the joint – Without melting ~ Extreme hard or pliable sealants. Inside edges are completely scraped clean. Joint is ready immediately for the new sealant. 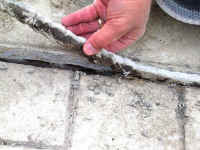 Strips of joint sealant being easily removed from the joint. Sliced Joint Sealant, ready to be pulled from the joint. 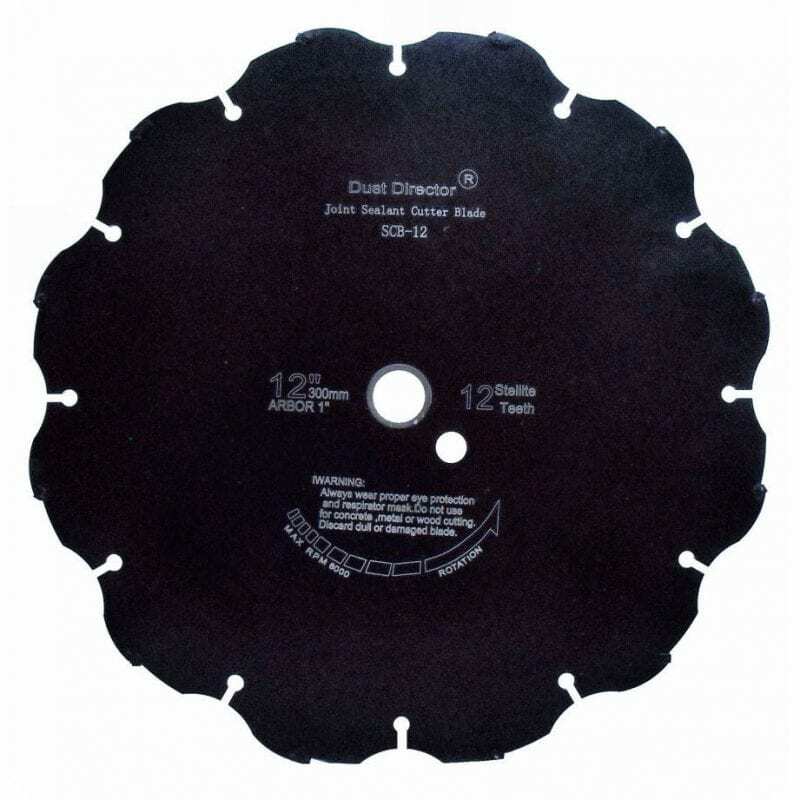 Without exaggerating, we cut over 1 mile of joint sealant using the 6″ blade. The only reason why I’m purchasing another one is one of its teeth fell off, but that same blade is still going using only 3 teeth! Our 1st purchase was (2) of the 12″ and (3) of the 7″. We got several thousands of feet from the 12″ blades and over 1000 feet with the 7″. For now on we’re going with the 20 Diamond Deal and the Hot Rod Saw (right). Removing “soft” joint sealant at a General Electric warehouse: The sealant was of “bubble gum” viscosity. With all other removal methods, it was taking 1 minute to remove 6″ inches of sealant. 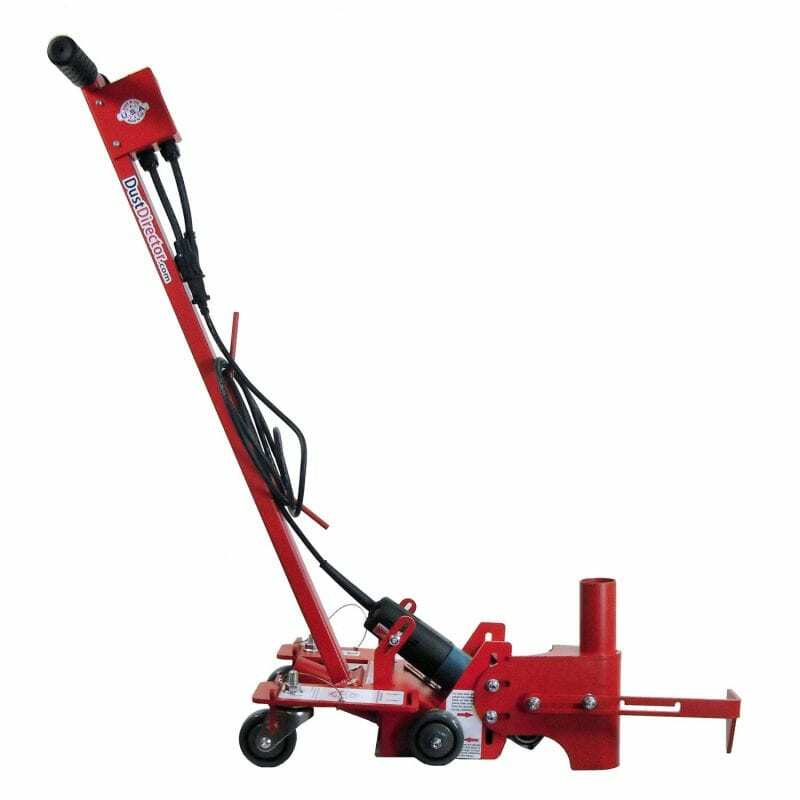 With the Stellite blade, productivity increased to 6 feet per minute. Additionally, the blade left the joint’s inside edge clean; ready for resealing. Specifically designed to remove both HARD & SOFT joint sealant material WITHOUT MELTING the SEALANT. Soft urethanes • Hard polymers • Asbestos joint sealants, etc. How Do You Keep the Blade Cutting so Cool? I cut over 1,200 feet and the blade doesn’t get hot! The inside edges are clean and the blade still looks new! Completely removed the sealant – we cut down both sides of the joint and pulled-out long strips of sealant. The sealant was completely removed – we didn’t have to go back and clean the joint’s inside edges — well done and thank you.
. . . used it on sealant that was very gummy (we think they forgot to add the hardener to it). The blade worked far better than a Caulk Cutter or wire wheel. Extremely Productive – After we cutout the sealant we immediately were able to install the new sealant. The inside edges were completely free from the old joint sealant and new concrete was exposed for proper bonding of the new joint sealant – the joint was completely prep’d and ready to go . . . The blades last longer than the angle grinders! 6″ Hot Rod Saw. 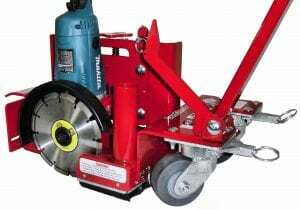 Crack Chasing, 1-1/2″ Saw Cuts, Joint Widening, Sealant Removal & Crack Chasing.”The sealant material is 2″ thick and we went through two angle grinders — but the blades are still new! 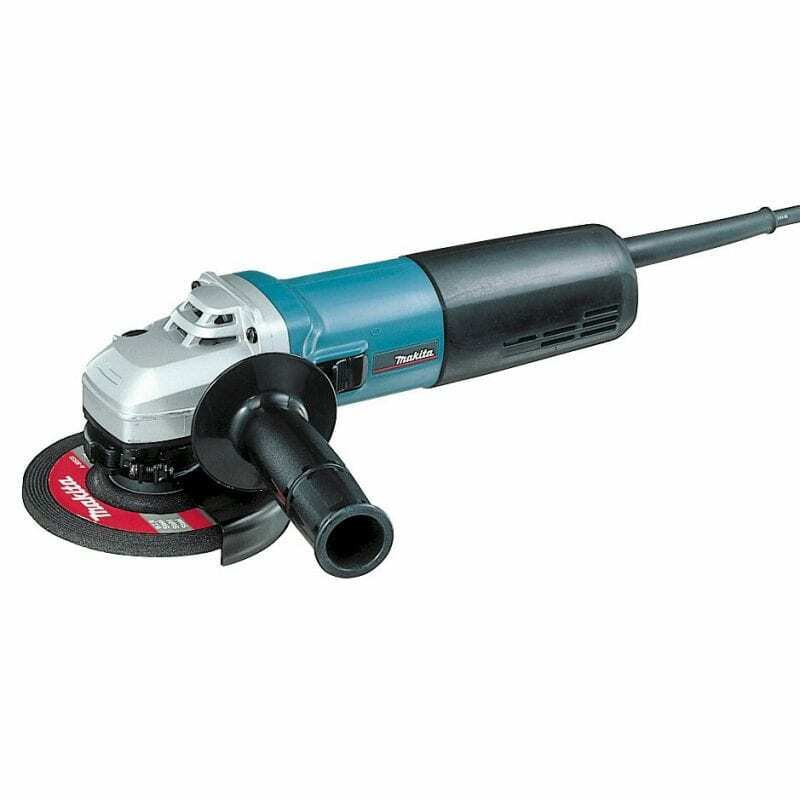 We’re switching over to your Hot Rod Saw and the 13 Amp Variable Speed Makita Angle Grinder that you’re endorsing. Slices through Hard and Soft Joint Sealant - without melting the sealant. 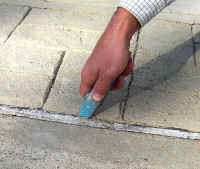 Slicing through the outside edge or down the middle of sealant material without melting – including sealants with the viscosity of bubble gum. viscosity. 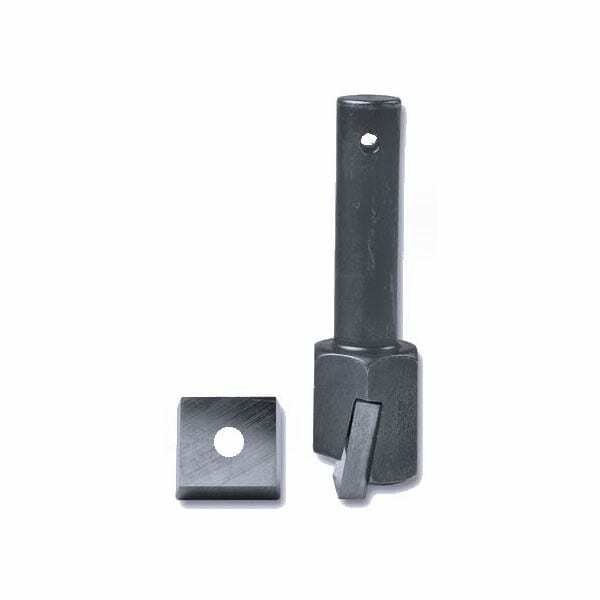 Completely sink the blade into the joint without damaging the Stellite® cutter chips from hard concrete or aggregate that may be directly beneath the sealant material. The cutter chips will NOT prematurely fracture. 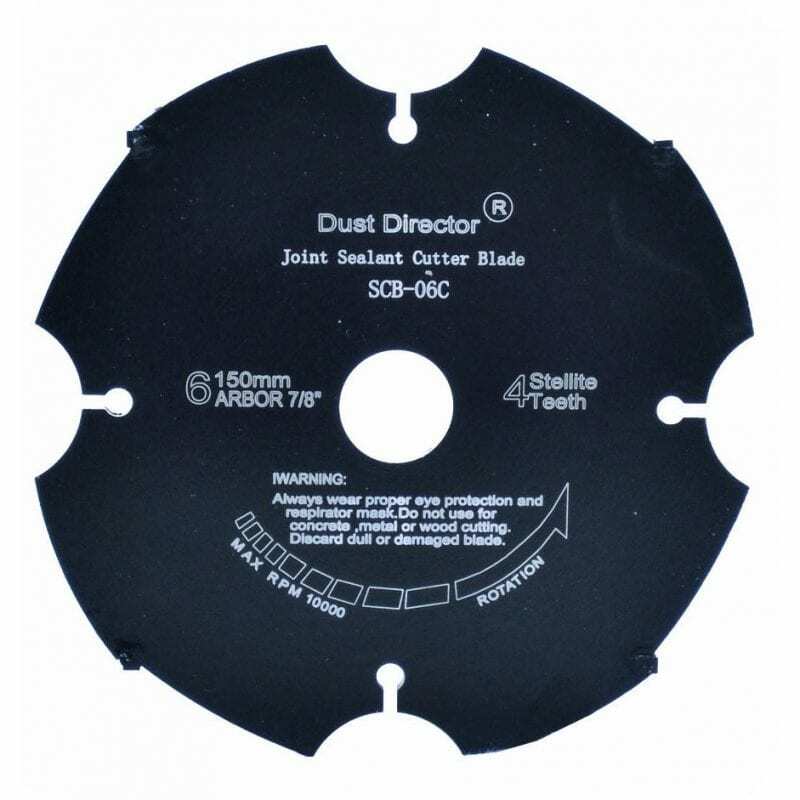 Dust Director Joint Sealant Cutter Blades cut fast – with no melting of the sealant nor fracturing of the diamond cutters. 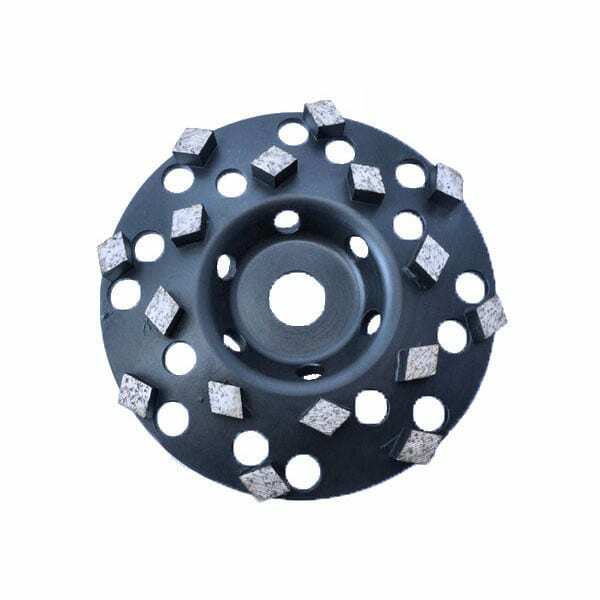 Harden cutters are protected from fracturing. 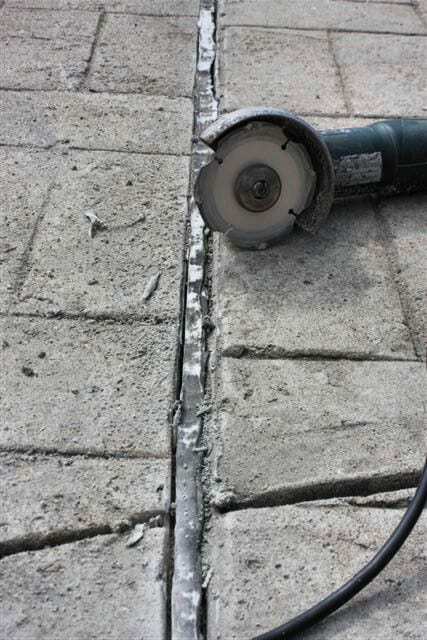 Quick and easy slicing (removal) of joint sealant along the inside edge of concrete expansion joints. 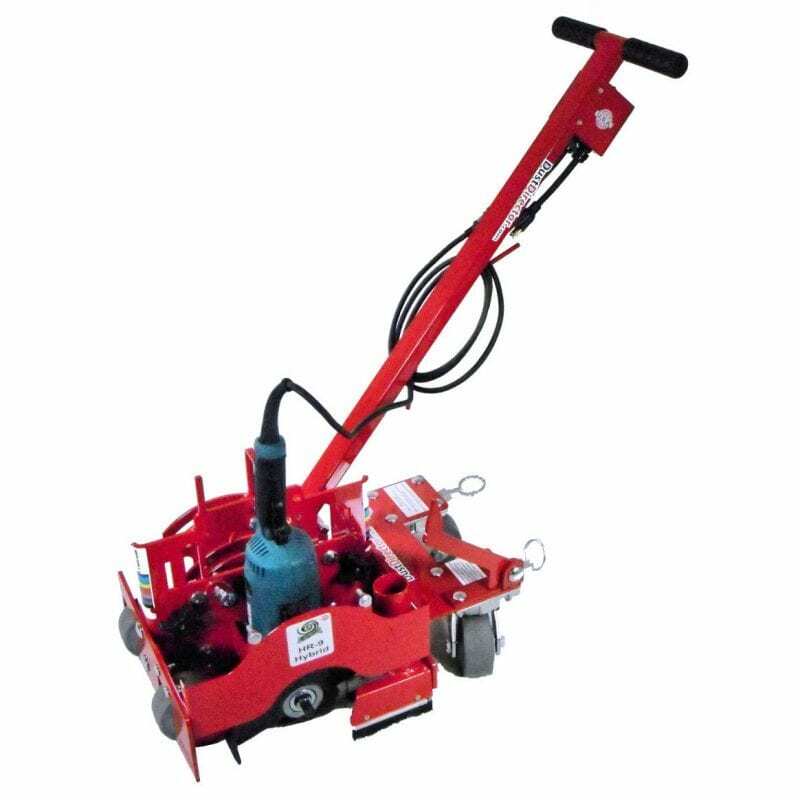 6″, 9″, 10″ & 12″ Hot Rod Saws – Compact, HD, dust control saws for dustless crack chasing, saw cutting and joint sealant removal using the Stellite Cutter Blades. 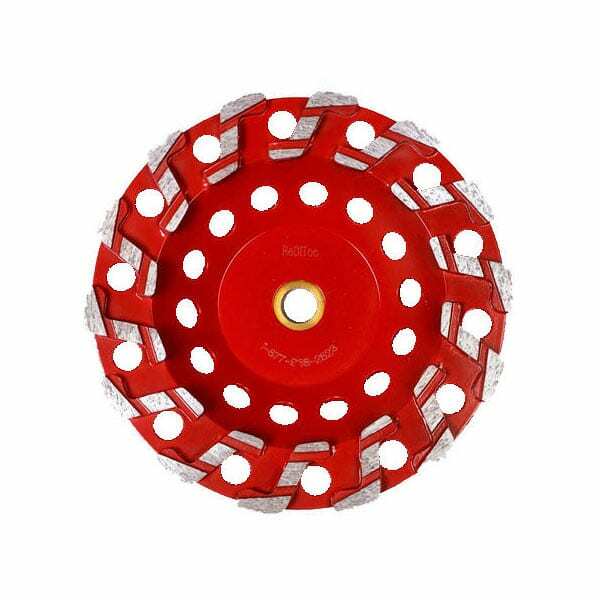 As effective as the Stellite Blades are, including being able to use them on handheld angle grinders for detail work, it is inevitable that you’ll have some intrigue work to do . . . 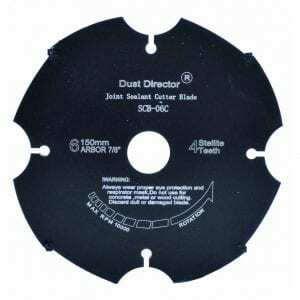 The Dust Director® oscillating blades are least 50% less expensive than the FEIN blades. 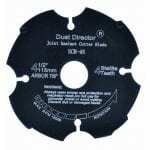 Cutter maintain their sharpness to slice through hard and soft joint sealant instead of grinding it . . .
Utility knife blades and diamond blades wear prematurely. Diamonds round-over and grind (they do not cut). Hence, when a diamond blade grinds it creates friction heat which causes it to instantly melt the joint sealant. 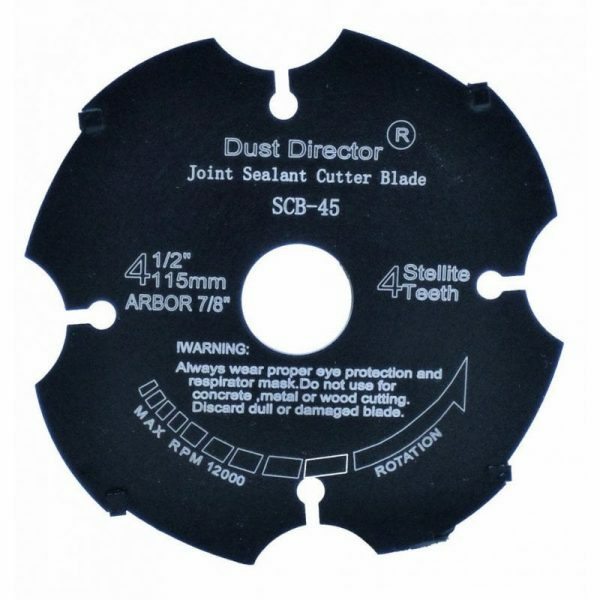 The harden cutters on the Stellite Blade do not round-over which keeps the sealant from melting.